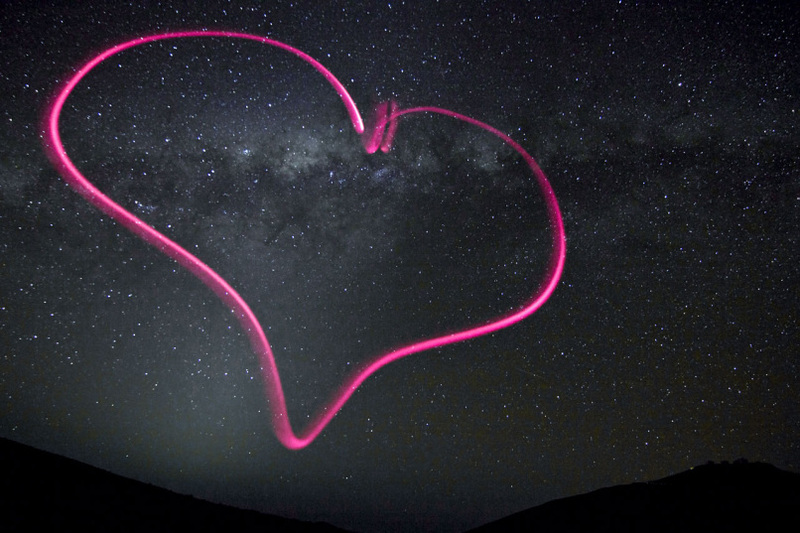 Astronomer and photographer Julien Girard drew the heart in the air with a tiny flashlight at ESO's Paranal Observatory in northern Chile. The VLT telescopes are barely visible on the hill at lower right. The photo was taken on Oct. 20, 2011 and released by ESO officials on Monday.